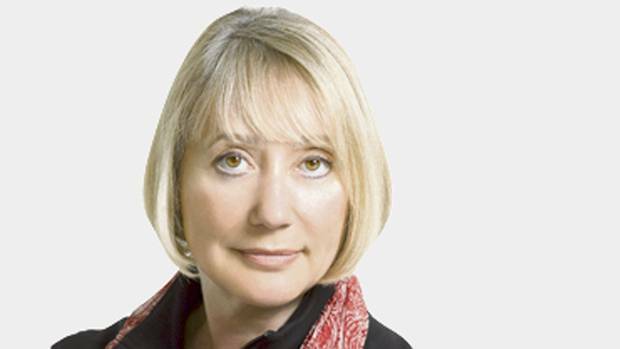 Margaret Wente is both enjoying the perks of her “seniority” and worries that we may be undermining the future. Over the weekend one of my clients posted an article from Margaret Wente about the many privileges bestowed upon seniors in Canada. Listing an almost unbelievable number of perks for “elderly” Canadians, which ranged from discounts at drug stores and movie theaters to government pensions and new federal tweaks to retirement programs, in every way seniors in Canada have it pretty good. So good in fact that Margaret Wente has begun to despair. Not for herself, but for the future. The younger generation is definitely having a tougher time than their parents. And while none of this predicts that the Millennial’s will be poor, it does go to the heart of the uneven balance about finances that exists between generations. Who has the most money and assets in Canada? What’s happening is that we live in unprecedented times. Unprecedented in the life span of those living, the material wealth we have available to us, and the inverted demographics that comprise many countries around the globe. Everywhere people are richer, living longer and getting older. Many of our concerns about the economy, the cost of living, or the security of programs like CPP, or Social Security in the United States, are born directly from our success at creating a higher standard of living. Higher wages, better medicine and a declining birth rate make us materially richer, until they don’t. 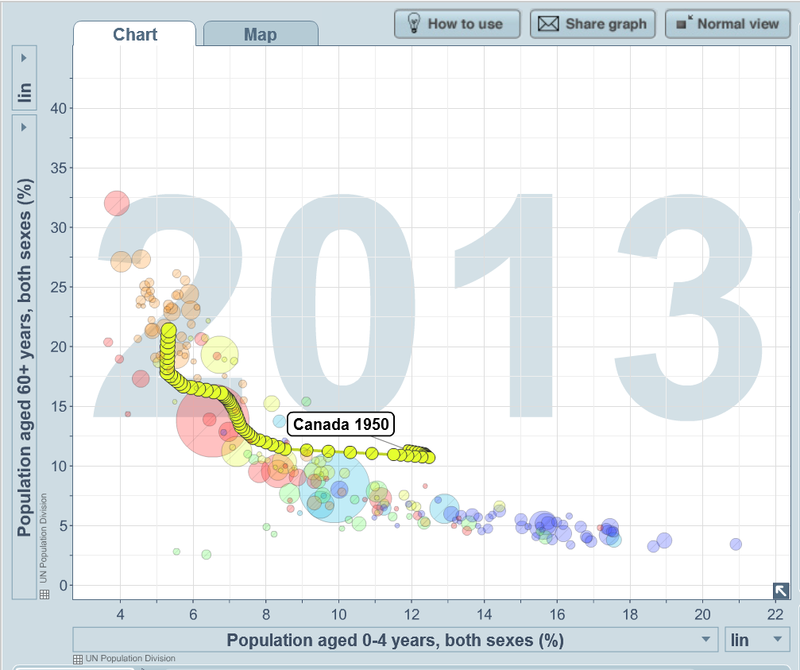 What you are looking at in the above chart is the changing nature of both Canada’s and the worlds age. From 1950 on Canada briefly saw a boom in the birth rate that has since reversed itself. The number of Canadians over 60 (the y-axis) is now better than 20% of the total Canadian population, while the number of children (on the x-axis) has been steady at about 5%. All the goodies that benefit the senior class of Canadians are getting more costly both because Canadians are living longer, but also because the tax-base needed to support many of those services is shrinking. 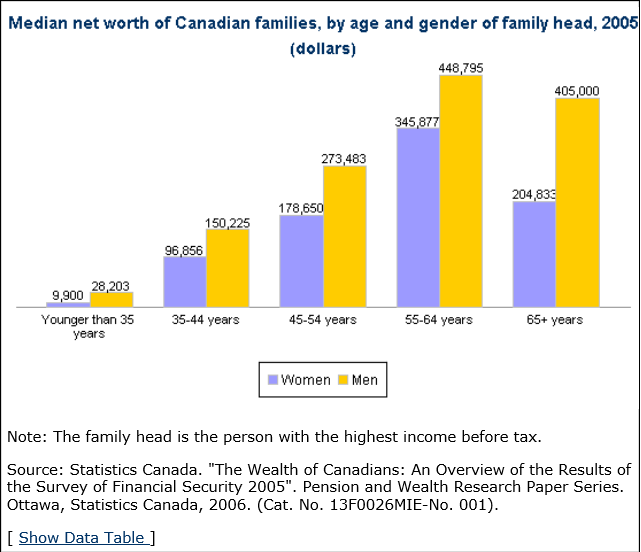 But are seniors “too rich” as Margaret Wente thinks? Probably not. While Canadian poverty rates for the elderly are some of the lowest in the world, people who retire at 65 need to make all their savings last them until they are ninety, or older. You try and figure out what you are going to spend for the next 20-30 years. 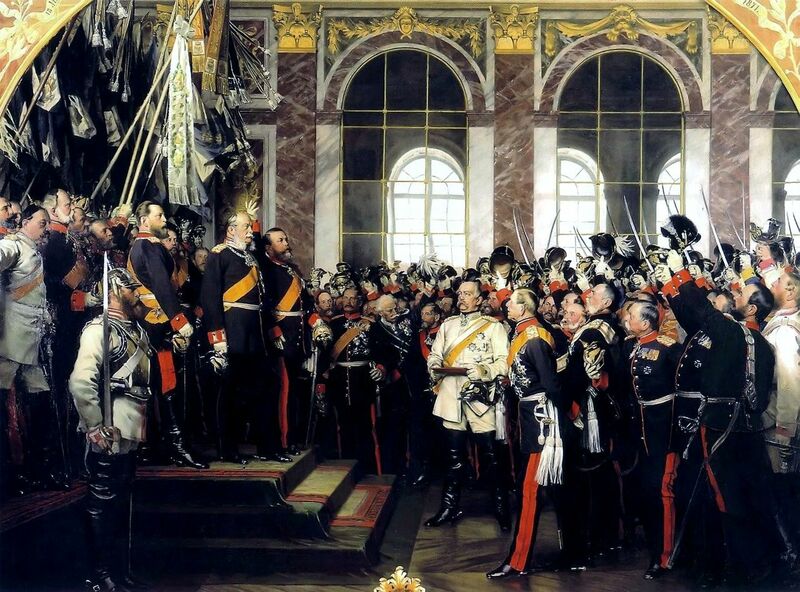 When Otto Von Bismark introduced the worlds first old age pension, it was for people who were 70 years old and their life expectancy was for maybe two more years. Today people retire and they live another lifetime. As we’ve previously said, when you’ve retired you’ve earned your last dollar. That can be a pretty scary thought. This book was written in 1997. 1997! It’s taken 20 years for it to be relevant. a factory and eventually fought in the Second World War. By the time he was 65, suffering from lung deterioration after a life time of smoking, his face bore every year like the rings of a felled tree. My father on the other hand just had his 70th birthday and looks barely 60. That isn’t good genetics, that’s the product of good living. This trend is global, affecting everyone from China to Canada, and it will be with us for a long time. 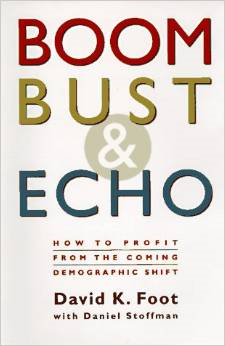 For many years people have been sounding the alarm about the demographic storm that is approaching, but such storms are slow moving. This is the beginning of a much larger set of conversations that will begin to address how we perceive retirement, savings, economic growth and government programs like the CPP. How we ultimately address and resolve the burgeoning conflicts about age and wealth will put many of us, and our retirement plans, to the test.